Train On Time. An ex-LMS 4-6-0 Patriot Class locomotive runs past Warwick Milverton station on a diverted down express service to Birmingham. The original painting and prints are for sale from Kevin, the artist on 01926 332708 or 'parrish@quicknetuk.com'. 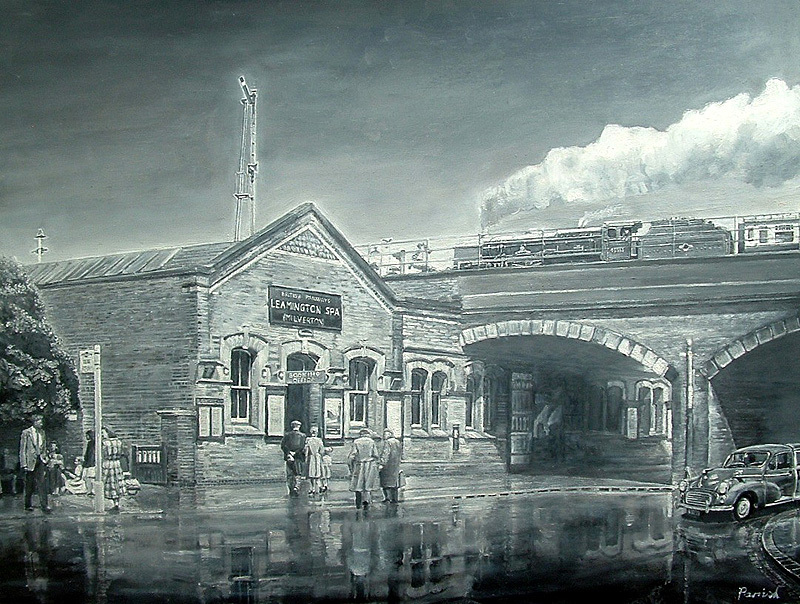 The painting depicts a scene in black and white of (Warwick) Milverton station in the 1950's being initially inspired by one of the photographs of the station seen on the www.warwickshirerailways.com website. This former station is also local to where Kevin lives in Leamington and in fact he still walks past the location every other day.